The world of digital pianos is an interesting and diverse landscape, and the more you learn about the different types of machines, the more the machines change and develop. 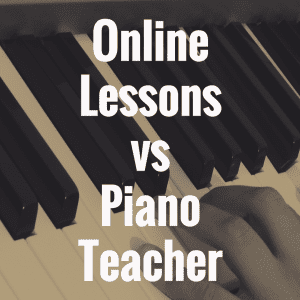 Each digital piano has its own characteristics, and some developers may choose to focus on some areas more than others. Yamaha Corporation sits in a unique position, in that they’re able to cover a wide variety of areas and can bring a better well-rounded product. Yamaha’s line of digital pianos has always been known for their professional taste and dedicated production. They have a few different series, whether it be the Piaggeros, Portable grands, or Clavinovas. The P-Series is yet another addition to their digital pianos, and for me, the P-155 stands out as one of the finer models. Thanks to one my friends at a local music store, I got to take this baby for a ride. 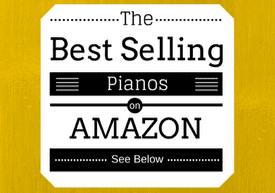 Below, compare the very affordable Yamaha P155 to the best pianos in its class based on weight, price, and even customer reviews from Amazon.com. There was a special version that had caught my eye, which was a beautiful white and wood-grain piano Yamaha dubbed the “Silver & Cherry” edition. For me, it’s a welcome change to the otherwise dry and monotonic looks of most digital pianos, which are just flat out black. The dealer informed me there are two other colors, with a “Black & Ebony” finish along with a “Black & Mahogany” finish. The piano was sitting on a beautiful Yamaha L-140 matching stand, which I thought brought out the beautiful construction of the piano. If anything it was a far cry from the dusty ‘X’-stand I have sitting at the house. No way would I sit so beautiful a machine on that piece of junk. It also had the Yamaha FC4 piano-style sustain pedal hooked up to it, and my friend told me there were 3 or 4 other kinds of pedals you could order. The whole time I was experimenting with the P-155 I wanted to keep in mind the differences there may or may not be with the P-140 or the CP-33. Sometimes manufacturers can carry you away on their hype train, and easily get you to buy a product from them that you’ve basically bought already. 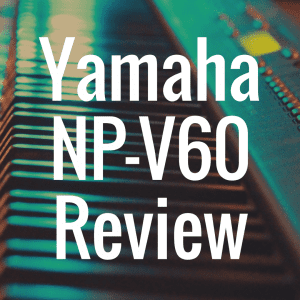 I’m not accusing Yamaha of doing this, but I’ve had a number of friends in my ear saying there wasn’t much difference from the P-140 or the Yamaha CP-33 digital piano for that matter. Truthfully, you don’t have much of a choice, as the P-140 has been discontinued and I’d say they’d be pretty hard to find. So one of the first things I noticed was the upgrade of the speakers. The P-155 now comes with pretty sizable 12 watt speakers, which in my opinion is a huge improvement over the 6 watt speakers of the 140. While 12 watts isn’t exactly going to blow you away, it’s much better for people who are using this piano to perform in venues like churches or performance gigs. 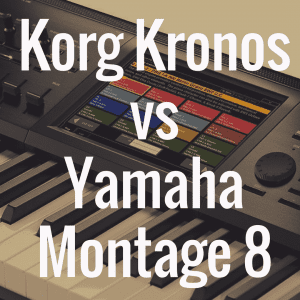 Like most other 88-key pianos/keyboards, this machine has many of the same dimensions. It’s 52 inches long and about 13 inches wide, so it shouldn’t be much of a problem fitting into any kind of home space. However, when I went to pick the P-155 up I was shocked. I thought I was picking up an I-beam for a second! It has an official weight of about 41 pounds, which is certainly one of the heavier digital pianos I’ve come in contact with. Add a piano case and this thing could become a real pain to carry around. Despite all of that, I really started to have some fun when I sat down on the keys. The P-155 has a wonderful and realistic feel to its keys, and my friend started to explain the Yamaha GHE (Graded Hammer Action) technology behind it. He actually brought out quirky little display model, which looked like a cutout of a section of piano keys, but showed the intricate workings of the hammers behind it. The model was awesome, and it showed that the keys have actual hammers attached to them which respond like a real piano, while each of the keys have a different weight, depending on their location. The keys mimic the actual grade of a real piano, with heavier keys being on the left, towards the bass and lighter keys going towards the right, toward the treble. He also let me know that all of Yamaha’s higher end models have this same exact technology, which is why it’s wonderful to see it on the P-155. The P-155 also has the same AWM Dynamic Stereo Sampling technology as the Yamaha P-140 and the CP-33, but Yamaha has taken it further by adding another layer of piano samples for the 155. Most other models with AWM, or Advanced Wave Memory, only have three layers of perfected grand piano samples, which the technology uses to seamlessly connect with however you choose to play the machine, whether gentle or heavy. However the P-155 has an added fourth layer, which really brings out an even more grand sound. I found that listening with headphones or hooking up to an amplifier made the sound even clearer. There are 16 preset tones in addition to the grand piano, from the customary electric pianos and organs, to strings, clavinets and basses. The piano has an amazing 128-note polyphony which should be more than enough for anyone, as the CP-33 and the P-140 only have 64-note polyphony. You can layer the different tones, and you can also split the keyboard into different instruments. There’s also a transpose function and a metronome, which will keep a tempo range anywhere from 32 to 280 beats per minute. 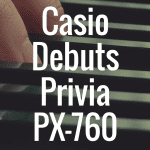 The P-155 has USB/MIDI capability, which will allow you to easily connect to a computer or separate MIDI device. You can also record and store your compositions on the internal hard drive, and play them back later. Also, with the auxiliary line out you can record into almost anything. With a list price of $1,700, it’s understandable that most people will try and find a bargain price for this beautiful machine. In fact, with all the options out there you really shouldn’t pay any more than $1,200 for the P-155. There are plenty of bundle plans which come with all the external accessories for less than $1,000. Spend any more and you might as well get a higher grade digital piano. 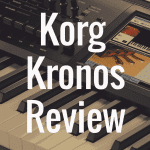 Please check out our homepage for more reviews of digital pianos! 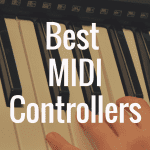 3) What’s the Best Yamaha Digital Piano That’s Available?